Everyone has an uncle, a brother, a sister or a friend that is uber cool and trendy. These design inspired gifts would be perfect for them or anyone else on your list. First up is this insanely awesome laptop case. I may just buy a laptop so I can get this case. I love the vintage vibe and the irony of housing something super techy in something vintage. Now all your friends will think you are super smart and thieves won’t target you because they can’t read especially not some old classic. It’s a win-win! You can purchase this baby at twelvesouth.com which has other cool mac-only goodies and a great philosophy. Looking for the perfect gift for your graphic design or marketing friend on your list. Pantone makes several products and I thought these were standouts and fun. 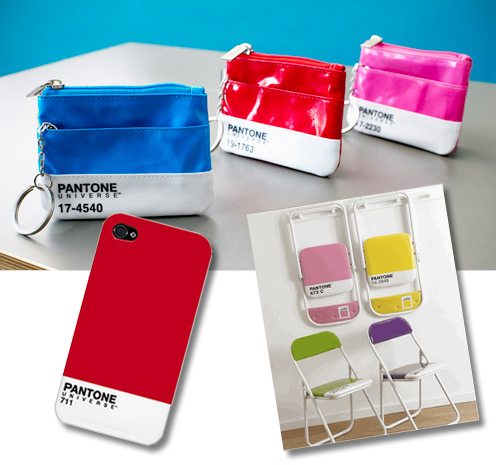 You can find the iPhone cases and coin purse on Pantone’s site, and the chairs here. I love the simple beauty of these mugs, below, from LeifShop. 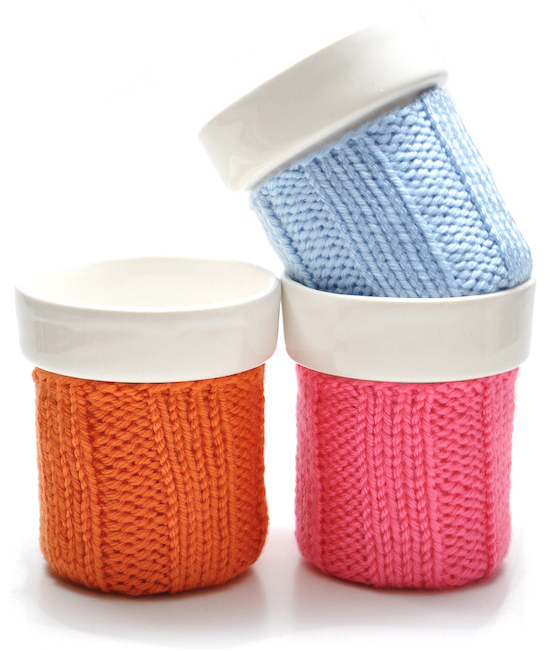 The sweater removes for easy cleaning. The colors are beautiful. 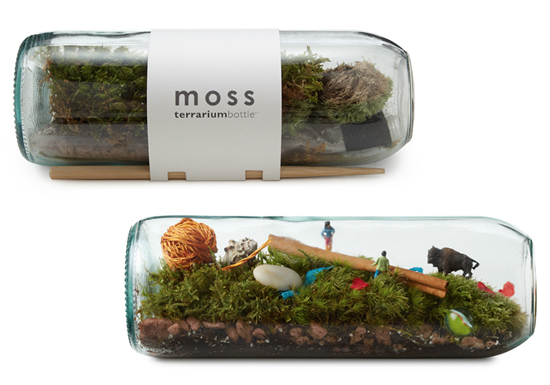 Everyone knows that I love miniatures and terrariums so someone better get me this cute terrarium from UncommonGoods pronto. It does not come with all of the cute miniatures but you can use your imagination and buy your own. Next up gifts with a retro vibe. I plan on highlighting fun gifts throughout the holiday shopping season. Gives me good ideas on what to get for family and friends. For some fun personalized gifts you can check out our licensing agents new site, littleredtulip.com. We have some stationery, binders and journals available. Soon pillows and scarves.